Each January, information is mailed to guidance counselors at the high schools in the cooperative’s service territory. Please check with your school guidance counselor for all the details. The scholarships are awarded at The Energy Cooperative’s Annual Meeting held in May. Deadlines are fast approaching.  In addition, The Energy Cooperative commits to sponsoring one or two high school sophomores or juniors, whose parent(s) or legal guardian are members of the cooperative receiving electric or natural gas/propane services, to participate in the Youth Tour. The Youth Tour is an all-expenses paid, week-long trip by bus to Washington, DC which will take place June 12 through 18, 2015. Application deadline is March 27, 2015. For more information on our scholarship program and Youth Tour or to download an application, please click here.